1958: Ordered by Vulmar Nielson from Herd & MacKenzie Ltd, Buckie. 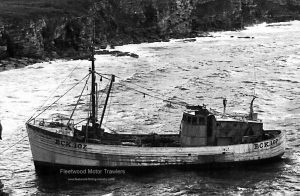 1959: Launched and completed at Peterhead for Bantry Fishing Co Ltd, Cleethorpes & others as YUKON FISHER. Registered at Buckie (BCK107). 1959: Stranded in Dunnet Bay, Caithness. Buckie trawler ESTROLITA (BCK6) and seiner SEALGAIR (WK241) managed to get a line onboard, refloated and towed clear. 09.1961: Sheltering from westerly gales in the Pentland Firth (Sk W. Sutherland), driven ashore at Little Sands, Dwarwick Head. Crew abandoned and made the shore. When weather moderated successfully refloated and delivered Buckie for survey. Repairs to keel and bottom planking by Herd & MacKenzie Ltd.
By 1962: Owners became Bantry Fishing Co Ltd, Cleethorpes and Robert John Phimister, Findochty. 06.1964: Buckie registry closed. 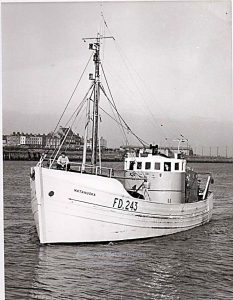 Registered at Fleetwood (FD243). By 1966: Registered at Fleetwood as MATANUSKA (FD243). 3.11.1966: At Fleetwood landed 169 boxes from a Home Waters trip. 1971: Fleetwood registry closed. 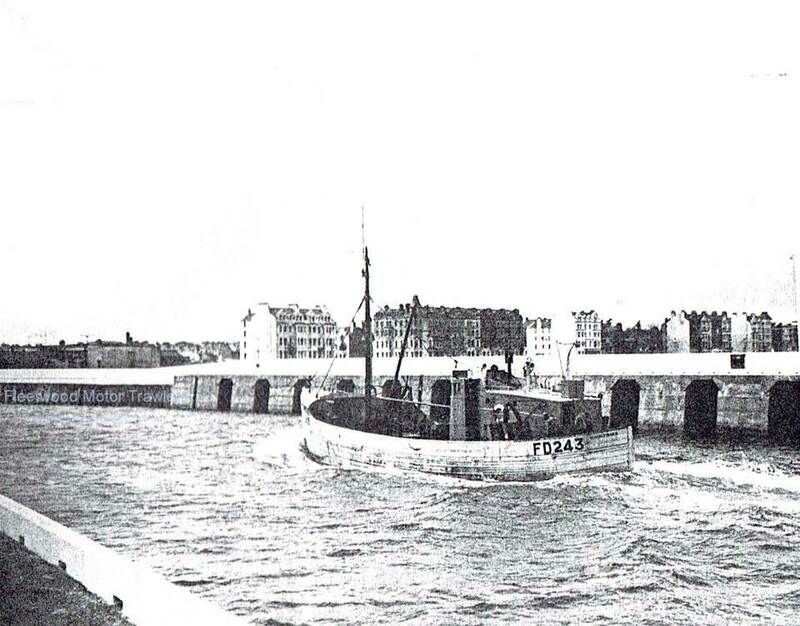 Registered at Grimsby (GY243). 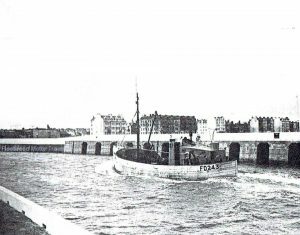 19.06.1972: Industrial fishing in North Sea. 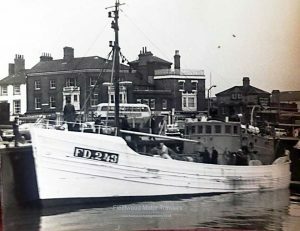 Struck submerged object and taking in water, crew abandoned and vessel foundered within ten minutes with catch of 80 tons of sandeels onboard. Picked up by Danish industrial trawler HANS SME (143grt/1968) and landed safely at Grimsby. This entry was posted in Lost, Motor Trawler, No Fwd Owners on 20th November 2016 by Howard Small.